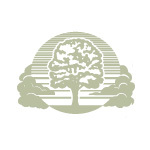 Lance E. Burnell, age 62, of Gladstone, passed away peacefully surrounded by family on Friday, March 29, 2019 at Aurora Bay Care in Green Bay. His loving wife, Becky Burnell, is listed among surviving family. Private services will be held at the convenience of the family. Memorial contributions may be directed to the family and sent to Skradski Funeral Home, 118 South 12th Street, Escanaba, MI 49829. The Skradski Family Funeral Homes of Delta County are assisting the Burnell family.